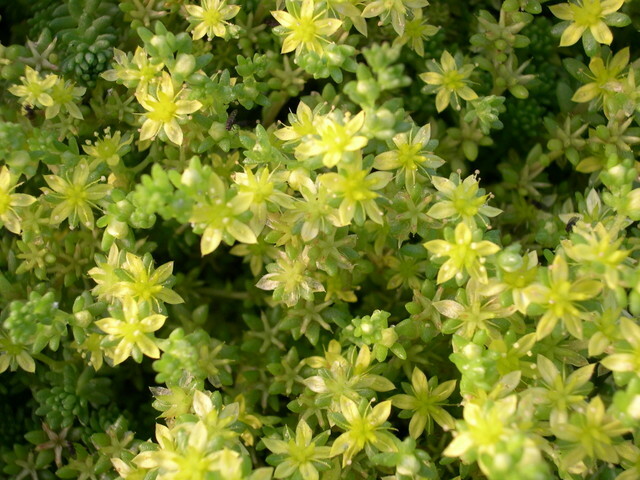 This is a very compact form of the popular sedum sexangulare. It comes from the Slovakian Tatra Mountains. Flowers are bright yellow in profusion. I really like this little gem. Evergreen.